Deutsches Altenheim is proud to announce the appointment of the newest member of the management team, Jovaneka Heredia, LPN. Jovaneka assumed the duties of Unit Manager for both Anna Bauer Place and Sally Matthews Wing in late June. Jovaneka’s history with Deutsches Altenheim is long and stellar. Beginning as a dietary technician in 1997, Jovaneka swiftly positioned herself as a stand-out among the staff. Within five years, she was testing the waters for a nursing career. She earned her certified nursing assistant certificate and transferred to the nursing department. Shortly thereafter, she earned a certificate in medical terminology and medical coding and billing and transferred her skills to the medical records department. 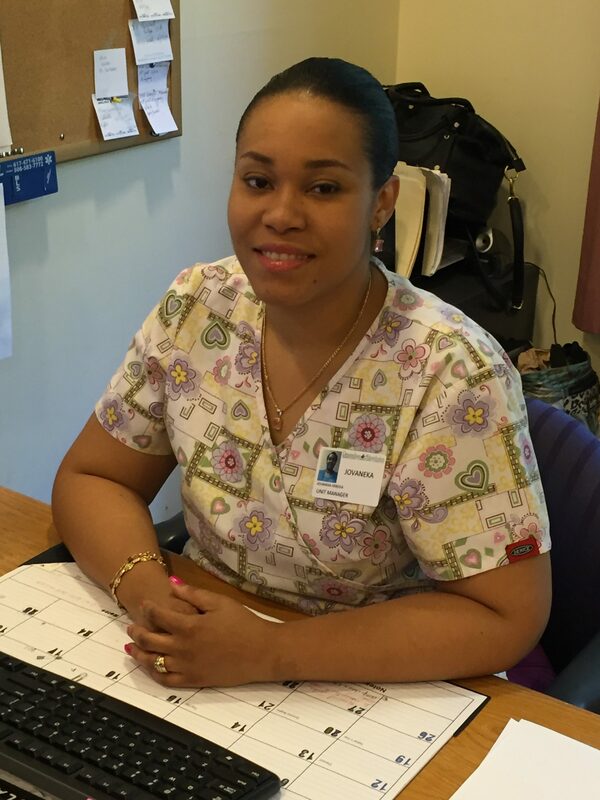 Never one to rest on her laurels, Jovaneka continued to attend nursing classes and became an LPN in 2009. Throughout the journey, Jovaneka remained steadfast, all the while working full-time and raising a young family with her husband.